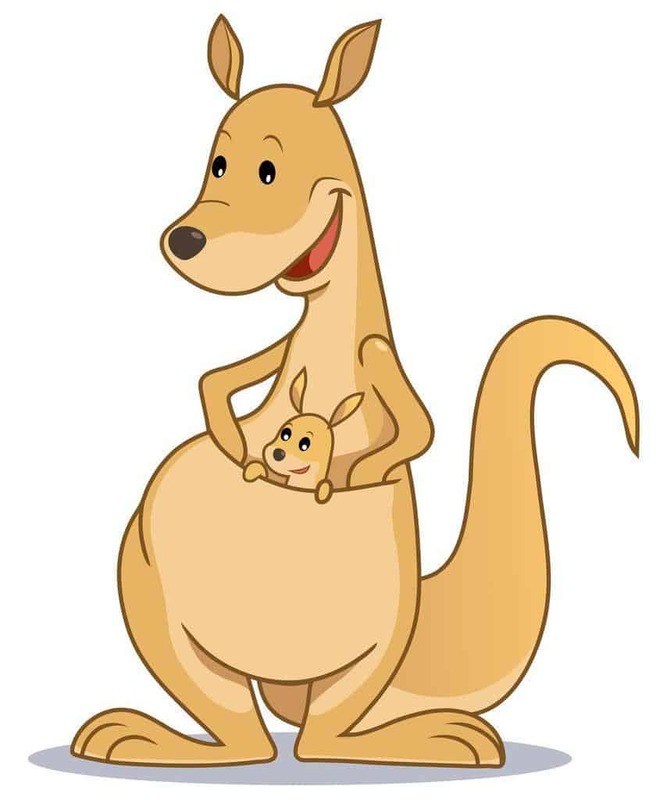 Kangaroo preschool theme ideas for children through second grade. This is a project you may need to assist the child on until they understand how to sew. Cut out a kangaroo shape that is facing you. Then make a pocket to sew on the front. Teach the child how to lace up and down sewing the pocket on. Then place the “Joey” in its pocket. Encourage them to make a face for it or embellish how they wish. Kids love to play “mommy, daddy, and baby”. Draw (or print out) a picture of a kangaroo. Cut out a construction paper pouch. Also, have a small joey, have the children glue on the pouch and put the joey in. During this week, we had the children jump like a kangaroo and then measure how long they have jumped. Then we make a graph. Preschoolers always like to outdo their friends, so this will make them want to try their best!! Tell them that they get to jump like kangaroos, but that you wanna see you can jump the farthest..mark off where each child lands and see who jumps the farthest!! We encouraged that children to cheer on their friends!! In the end, everyone got a treat for participating!! First..explain to the children that Kangaroos have a pouch and that they carry their babies in them. Next, tell them that we are going to act like Kangaroos and see what we can carry in our pouch!! Have each child wear an apron and scatter small toys or other items around the classroom..tell each child to see how many items they can put in their pouch before time is up. When time up has all the children use their counting skills and count how many items they have found!! They will want to play this again and again! !